Park City Welcome to the greatest snow on earth! At a stunning altitude of 7000 ft above sea level, nested between the beautiful Uinta mountains and Salt Lake City, lies the gem of Utah: Park City. This picturesque ski town has been the preferred destination for snow lovers of all over the world. With over 3300 acres of skiable terrain and over 100 trails, which are good for 3099ft of vertical descend, it should come at no surprise that Park City was selected to be home to the 2002 winter olympics, which once and for all put Park City on the map. 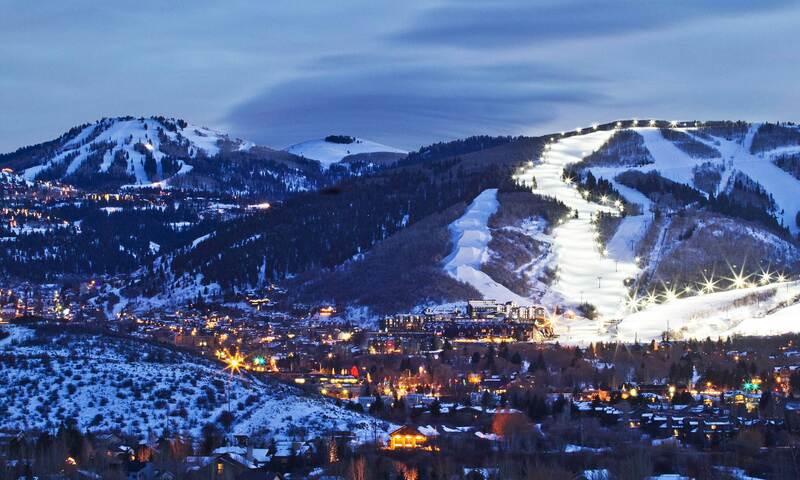 In 2008, Forbes Traveler Magazine named Park City as one of the 20 prettiest towns in the whole country. Only three years later, in 2011, the International Mountain Bicycling Association awarded Park City with a Gold-level Ride Center designation for its mountain bike trails, amenities and the community. If you love skiing and/or snowboarding, you will feel right at home in Park City! This beloved town is renowned for the endless number of beautiful ski trails and proudly carries the slogan: The greatest snow on earth. The wide variety of ski resorts will give you immediate access to fresh snow straight from your hotel room, and the immaculate restaurants will have their doors wide open for you when you come back from hitting the slopes. Once one of the many ski lifts has brought you to the top of the mountain, you are rewarded with spectacular views of the beautiful nature that Utah has to offer. Once you come down from the piste you will be emerged in the rich culture of Park City, ranging from the great food to jaw dropping art galleries. Once the white blanket that has covered Park City during the winter months melts, over 150 miles of trails reveal themselves which are perfect for any hiker or mountain biker. The Jordanelle reservoir makes for the perfect place to cool down on a hot summer day with the many water sports possibilities. Those who are feeling a bit more adventurous can take on the zip-lines or the alpine slide, which make for an epic adrenaline rush! If you are feeling a bit more relaxed, you can play one of the 15 incredible golf courses that are spread out across Park City, all less than an hour away from the Salt Lake City airport. the Sundance film festival. 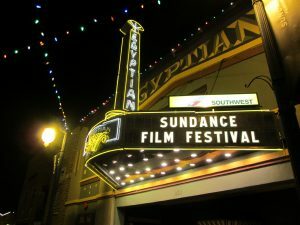 At the Sundance film festival, you will be face to face with the best new films, famous actors and promising filmmakers, all of which revolve around the historic Egyptian theatre on Main Street. While you’re on Main Street, don’t forget to take a look at some of the beautiful galleries, exclusive restaurants and other interesting places, such as the High West distillery, the Park City brewery and the Banksy artwork. On Sundays, you will be able to walk the Park Silly market, where you can enjoy the many booths with different merchandise and food or live music performances. Park City is known for its remarkable transit system, where over 12 bus lines connect the city. Since a short time, the city has decided to swap out the old busses for new, electric ones. There is also a direct bus to Salt Lake City, which is ideal for travelers who don’t have a car here. Lastly, there is a trolley that goes up an down main street. 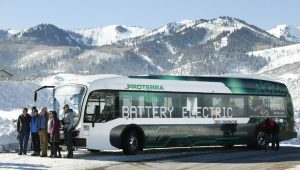 For detailed, up-to-date information about the transit in Park City, click here.